One of the best things to keep on hand are good crackers. By good crackers, I mean something other than saltines, something with a little oomph that if you want to make a nice presentation you can, but don't cost a mint to buy and keep. 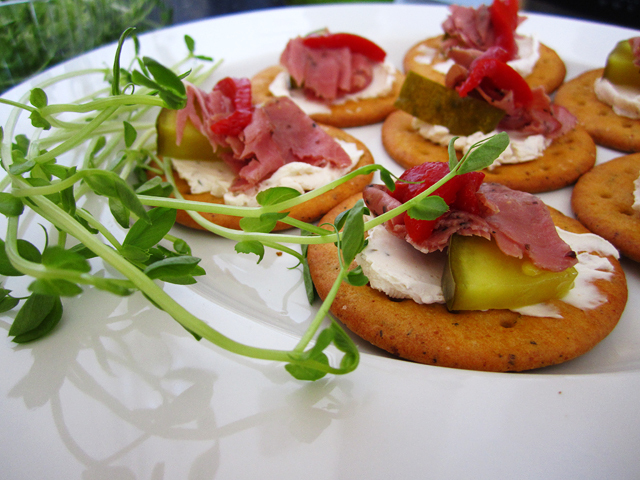 Butter crackers with french onion cream cheese, kosher pickles, roasted pepper and pastrami. 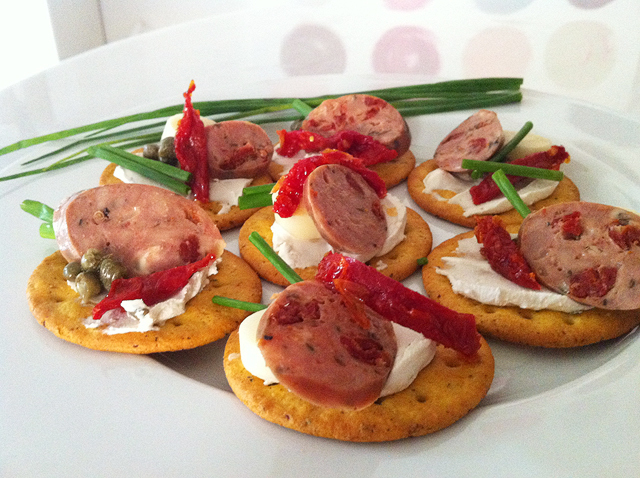 Vegetable rounds with cream cheese, chicken & sundried tomato sausage, sundried tomato, capers and chives. 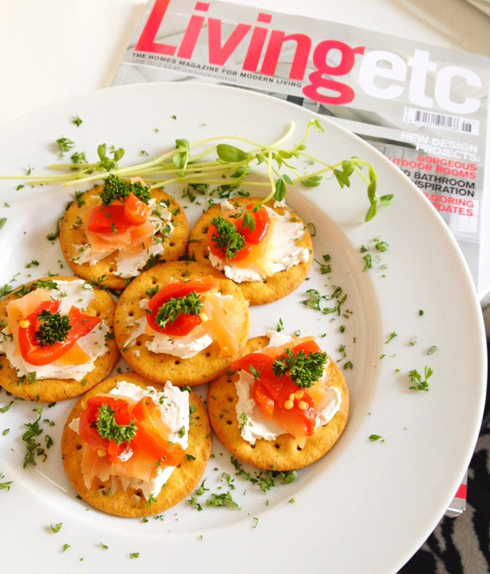 With tofutti cream cheese, smoked salmon, roasted pepper and parsley. Seems so refreshing and the food seems to be so yummmmy!